The revelation pokes holes in Amazon's defense of Rekognition. When Amazon’s facial recognition system Rekognition came under fire by studies that found it was inaccurate and biased against women and people of color, the company responded by saying that the researchers misrepresented how Rekognition might be used by Amazon’s law enforcement clients. But now, a law enforcement client has come forward and said that no, it uses the software much like the researchers did. Oregon’s Washington County Sheriff’s Office, the only enforcement office that Amazon has officially acknowledged to be a client, says that it does not use Rekognition the way that Amazon recently claimed to have recommended, according to Gizmodo. Needless to say, that’s worrisome. 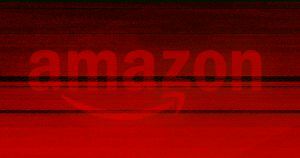 Amazon claimed that it recommends police set a strict minimum confidence threshold for matches, meaning someone’s face would have to be at least 99 percent the same as a database image in order to trigger a match. But the Oregon police said that they don’t bother using such thresholds, a clarification that’s backed up by previous documentation showing a 96 percent match. The Washington County Sheriff’s Office also clarified that it only uses Rekognition to generate leads and that detectives are required to gather additional evidence before making a case against someone, according to Gizmodo. Amazon responded to Gizmodo by once more asserting that the company collaborated with the Washington County Sheriff’s Office on deploying Rekognition and that thus far, there had been no public complaints about the tool. What the Washington County Sheriff’s Office’s admission means is that at least one client — the only one that’s publicly known — isn’t following Amazon’s guidelines for the software. And that’s a worrisome glimpse of the ways police are going to use facial recognition software going forward.